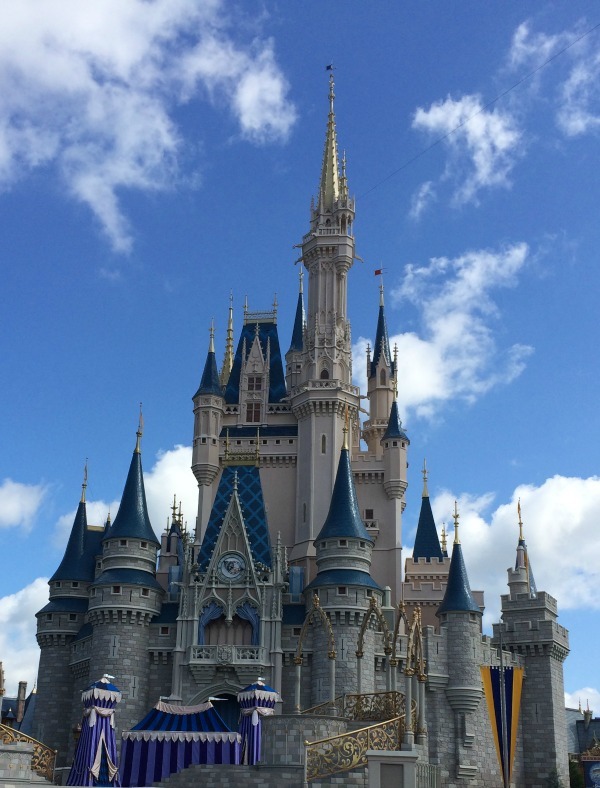 If you’ve been lucky enough to visit Disney World Magic Kingdom, then I guarantee you remember the first time you saw the castle. My first glimpse of the castle was in the distance when we were travelling by bus towards the park. That was enough to send shivers through me, but the real magic was when I turned the corner onto Main Street and saw the castle in full glory. 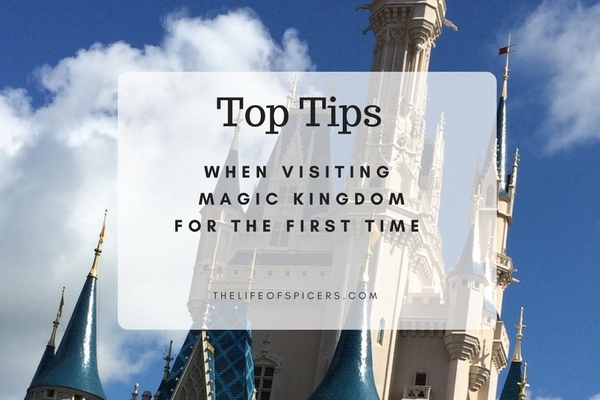 There are lots of Magic Kingdom tips and tricks to help you get the most out of your visit. I know when entering Magic Kingdom park, I was in awe of the size. I didn’t know where to look first, and how on earth was I going to take all this in? To put it simply, you can’t so don’t try, just enjoy what you’re seeing and don’t worry about what you’re missing otherwise you wont truly enjoy your visit. 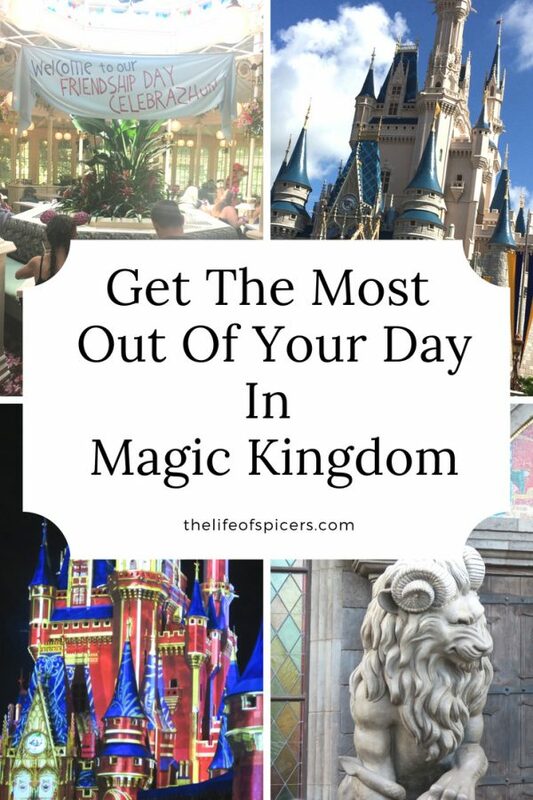 Are you thinking of visiting magic kingdom in one day? It’s certainly possible, but I guarantee you will be returning for many more visits. The park itself was the first to open in 1971, and spans 107 acres which is 433,000 square meters, which is bigger than Disneyland in California. So don’t worry that you can’t see it all when you look at those figures. When you first walk into the park, there is a lot going on right in front of you without walking more than 50 steps. This is overwhelming in itself, so my best piece of advice would be to get a park map BEFORE you visit the park so you can have a look where the attractions are you really want to visit. There are five lands within Magic Kingdom, Tomorrowland, Fantasyland, Frontierland, Adventureland and Liberty Square. If you are able to get there before park opening, you can watch the welcome show. A ten minute approx show where Mickey and the gang open the show with the help of a family of the day. It’s a must see if you can get to the park early enough. As of early 2017 the welcome show is being held on the castle stage allowing guests to enter Magic Kingdom before the official opening time. Entrance to other areas and rides are not permitted until the park officially opens. The welcome show was moved whilst the Main Street Railway was being refurbished in early 2017 however it hasn’t moved back to the front of the park as of yet. The video below shows the welcome show as it was before entering the park. It’s very easy to see the town theatre and spot Tinkerbell and Mickey Mouse on the character meet and greet board when you think you HAVE to get in line. The queues for Mickey and Tink never went over 30 minutes throughout the days on all of our visits, and in hind sight we didn’t need to make that our first port of call. The air conditioned waiting lines were nice, but we could have saved that pleasure for later. 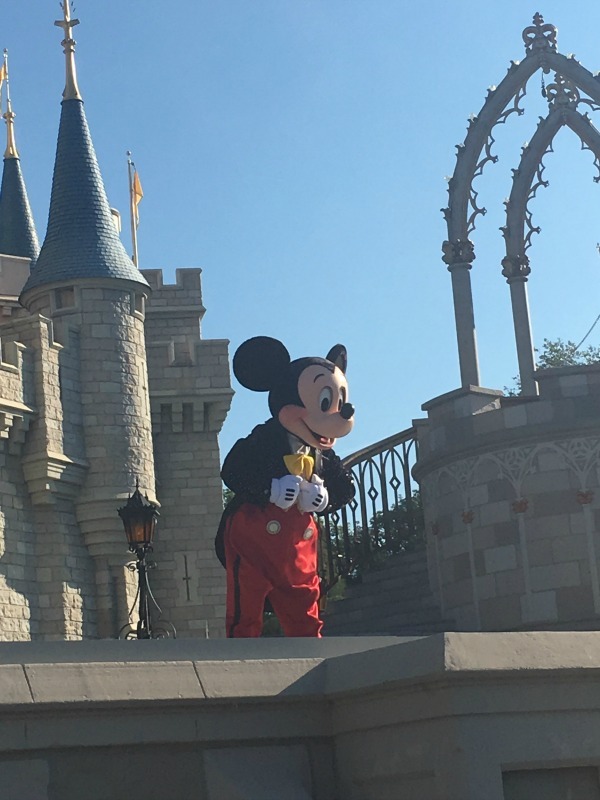 Once you walk up Main Street towards the castle (and I know you will if it’s your first visit as you wont be able to resist), you’ll be in the centre of the park, but which way to go next? The walking distance around Magic Kingdom is very spread out and you don’t want to walk all the way over to Frontierland to ride Splash Mountain before realising you wanted to see Belle in Enchanted Tales With Belle which is on the opposite side of the park in Fantasyland. If you’ve booked Fast Pass+ for rides or attractions, then the best way is to plan your day around your Fast Pass times. Our first visit was very random and we walked a lot of unnecessary miles to get to where we needed to be, and because of that we missed a lot we wanted to look at because we were time keeping and had to keep walking instead of taking in the views. There are a lot of characters you can meet and greet with at Magic Kingdom. The times will change so it’s a good idea to pick up a show leaflet as you enter the park and see who will be available for meet and greet at what point during the day. As previously mentioned, Mickey and Tinkerbell are in the Town Theatre, this appears to be their regular home. In front of City Hall (just outside the Town theatre), you might find Minnie Mouse, or Pluto. We spotted Marie (who has now since stopped appearing), and Pluto during our visits and the queues weren’t too long but there is no shade from the sun whilst you wait. The princesses, Cinderella and Rapunzel can be found in the Princess Fairytale Hall which is by the Castle. The wait times for these princesses can be in excess of 120 minutes so one of my top Magic Kingdom tips would be to Fast Pass this attraction. We were through the Fast Pass queue in five minutes, although the wait would be air conditioned should you decide to join the queue. Often there may be other princesses here such as Aurora, Tiana, Jasmine, Mulan, Eleanor of Avalor. The best advice if you want to see the princesses is to arrive early at rope drop and go straight there to join the queue, or try to get a Fast Pass. These are very popular so book as far in advance as you can. Princesses do seem to change so it’s worth checking in advance who will be appearing. We often spotted characters as we were walking around the park. Some queues were longer than others, but we didn’t have to wait longer than ten minutes for a quick cuddle, lots of photos and an autograph. To guarantee your time with characters, you can book a character meal. Whilst these are expensive, you will get to spend a lot of time with your chosen characters. In Magic Kingdom, you can dine with Cinderella, visit Winnie the Pooh and friends in the Crystal Palace or meet the Beast at the Be Our Guest restaurant (dinner only). You wont go to Magic Kingdom and not want to go on a ride. 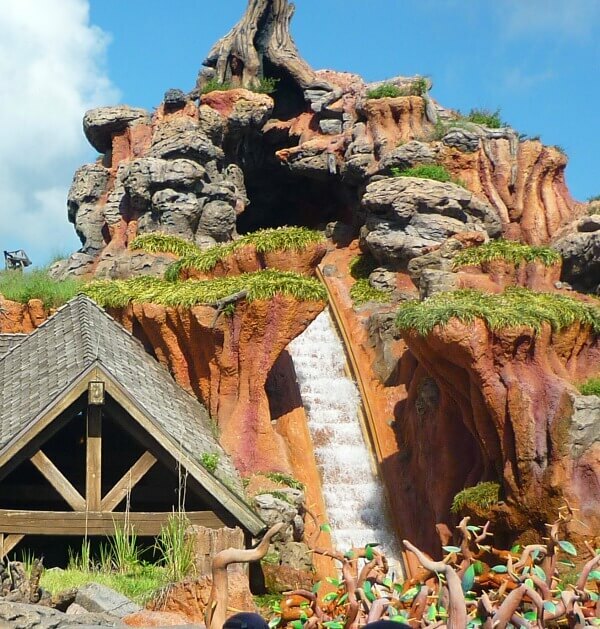 Whether you are a fan of roller coasters, or prefer a more gentle option such as the tea cups, there are Magic Kingdom rides for everyone. Some rides have height restrictions, so it’s a good idea to check before you go. 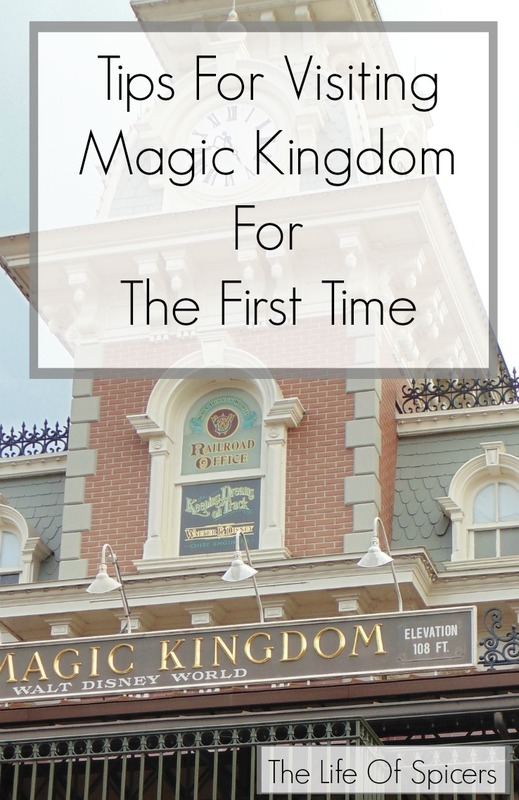 There are some of the more popular Magic Kingdom rides that I would recommend a Fast Pass for to avoid waiting around for a long time, and other rides you really don’t need to waste a Fast Pass on. I would love to tell you where to get the best food and snacks from, as there are so many options available and everyone has varied tastes, so I’m not going to cover food as such apart from telling you to drink plenty of water in the heat. My favourite snacks to eat can be found here. You can ask any of the restaurants for ice water and they will give you a cup free of charge. This also applies to hot water if you want a cup of tea etc. My favourite place to visit for a refreshing drink in Magic Kingdom is Aloha Isle in Adventureland. 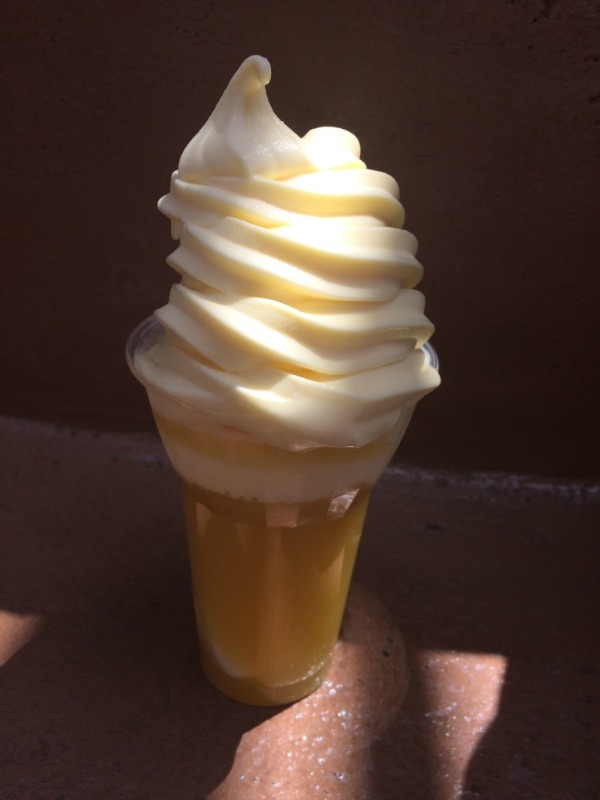 They sell dole whip floats which are pineapple juice topped with soft ice cream. It’s a very refreshing drink and well worth it. There is still so much more to see in Magic Kingdom aside from attractions, characters and food and drink. You can play the infamous game of Sorcerers Magic Kingdom which is a portal card game that will take you around the park. It can be a great way to take a step back and see parts of the park you may not see when you are rushing around. 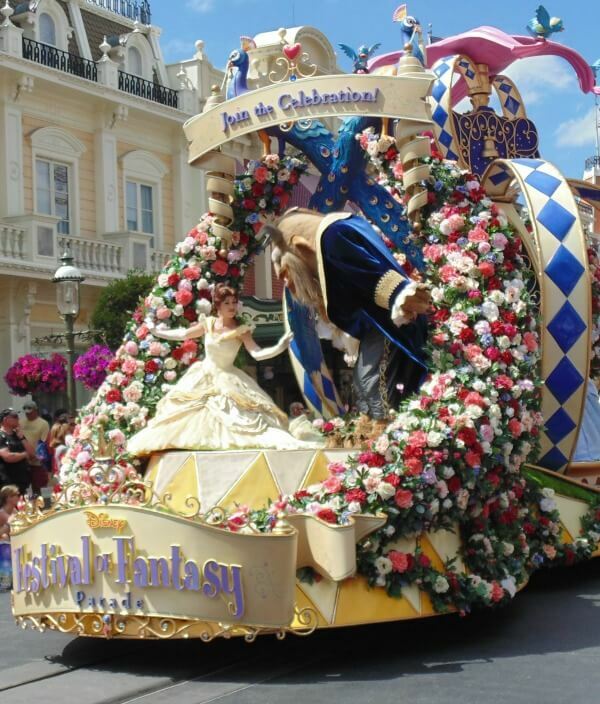 There are currently two different parades that take place during the day. Magic Kingdom parade times are subject to change but currently, my favourite is the Festival of Fantasy parade in the afternoon each day. The majority of the crowds gather along Main Street so if you wish to watch from here a top tip is to stand or sit on the left hand side of Main Street facing the castle as this side is in the shade in the afternoon. The parade does go through Frontierland as well which can sometimes be a quieter place to watch from. You can also catch the castle show, currently Mickeys Royal Friendship Fayre and the Move It Shake It Dance Parade which both happen a couple of times during the day. These are both great fun and worth taking the time out to enjoy them. 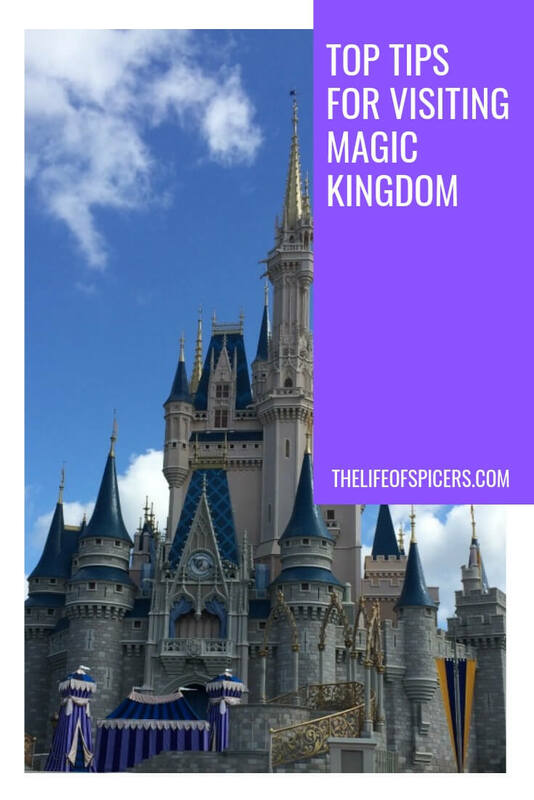 If you are visiting Magic Kingdom for the first time, then I hope this post has helped with some tips. Seasoned travellers, if there’s anything I’ve missed please leave me a comment. The biggest thing I could possibly say is that no matter how hard you try you won’t see it all! Enjoy what you are seeing and don’t worry about what you’re missing. There’s always the next time! 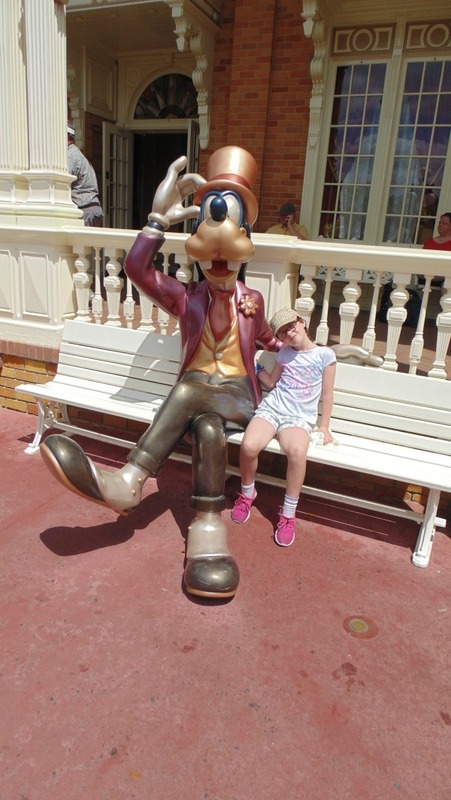 If you’re reading this and you’ve already booked your holiday, then check out ways to surprise the kids with your holiday, and if you’re wondering whether Memory Maker is worth the money then check out my post covering what I thought. Our 2014 Disney holiday diary starts here. We stayed at the Caribbean Beach resort during our first holiday and can highly recommend it as a Disney hotel. Read our thoughts here. If we ever get to go I know exactly who to ask for advice. One day hopefully.